The beautiful weather we have been experiencing over the past few weeks has prompted a rise in enquiries from householders looking to eliminate the current boundary between their home and garden with the aïr 500LS. 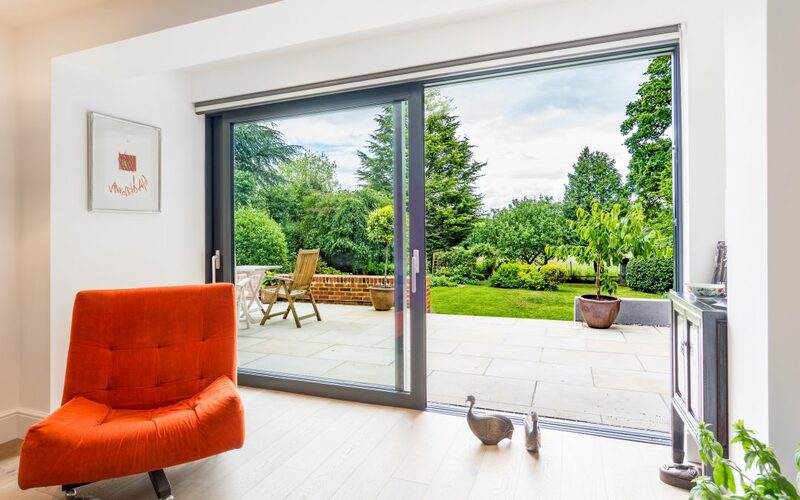 This world-class sliding door utilises an inventive lift & slide mechanism enabling the heavy glazed panes (weighing up to 300KG) included in the design to be effortlessly manoeuvred. As it offers a 40% slimmer sash than most aluminium sliding doors, you get less frame and more glass for your money. This gives you a largely transparent perspective of the outdoors when this spectacular door solution is closed, one that isn’t impeded by the usual chunky framework you get with ordinary sliding doors. But when you see how much the aïr 500LS totally transforms homes when fully extended open, the aïr 500LS is something you would rarely keep shut in summer. Traditional sliding doors can be quite restrictive in terms of their size, while aïr can measure up to 2.7 metres in height and be configured to an impressive 2.5m maximum sash width. So as you can imagine, the opening it provides is substantial. This giant opening connects homes with their gardens in a unique fashion, marrying the two locations together harmoniously. It gives you so much autonomy – the freedom to flit between indoor and outdoor living at your own leisure, perfect for those special occasions like the annual family barbecue. The kids will absolutely love it too as they can roam about the house like never before. If you need any added incentive to welcome the aïr 500LS into your humble abode, it provides U-values of up to 0.95 W/m²K, has been tested for wind loads up to 1200pa and is watertight up to 600pa – it will have a lasting impact. Get a copy of our latest company brochure to find out more about the full aïr range.